This gift box offers a sampling of our signature foie gras products, including raw slices and prepared mousse with truffles and our classic torchon. Great for friends, family, and foodies, this gift is conveniently packaged in a D'Artagnan gift box along with a brochure explaining each of the products and offering cooking/serving tips. In the event that any of the products listed above is not available at the time of shipment, D'Artagnan reserves the right to make an appropriate substitution for an item of similar value. 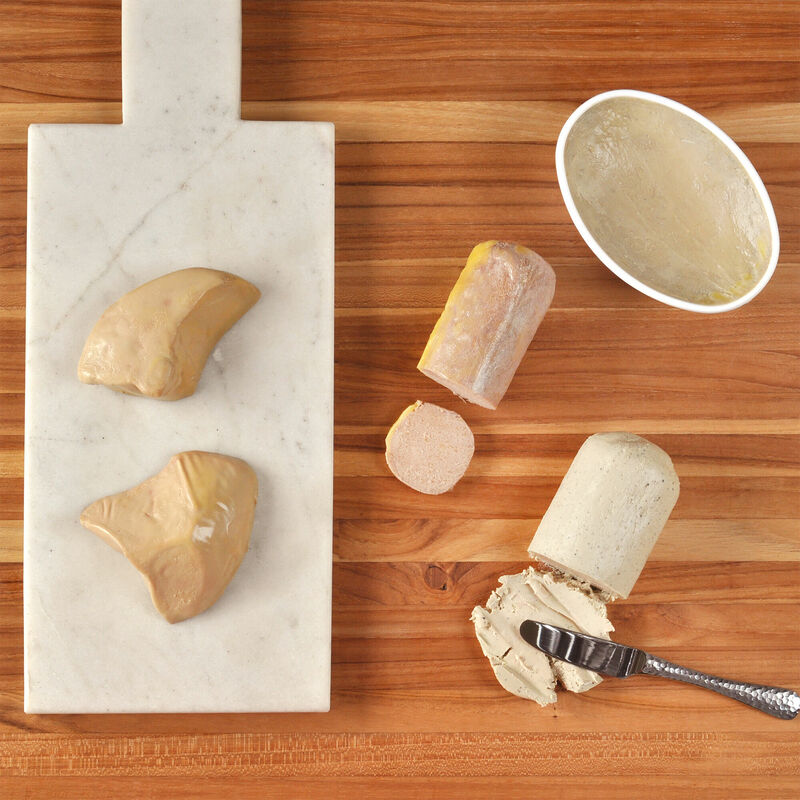 Our slices of raw foie gras are perfect for making restaurant-style seared foie gras at home, and taking that to the natural next step: the foie gras burger. Our award-winning medallion of foie gras is silky mousse with generous flecks of real black truffles, easy to spread on bread or use in recipes. Mousse of foie gras is ideal for simple canapés. Just add some Champagne for true decadence.